Western media outlets have published stories that detail the wealth accumulated by Chinese officials, including President Xi Jinping. China has for months declined to act on the visa applications of Times employees Chris Buckley and Philip Pan. Correspondents for The Washington Post, Bloomberg, Al Jazeera and Reuters have been similarly barred from reporting in China. In December, more than two dozen Times and Bloomberg staffers were issued visas at the very last minute. Journalists face obstacles in other ways. Earlier this month, CNN's Beijing correspondent, David McKenzie was assaulted by Chinese security while covering a trial of a high-profile Chinese activist. In a statement, the executive editor of The Times, Jill Abramson, said the news organization "remains committed to covering China as our thorough and frequent coverage of the country attests." She added, "We are working with Chinese authorities and hope that all of our talented journalists will be able to work there normally." Chinese officials have attributed delays to paperwork mistakes and have said it is China's right as a sovereign nation to decide which individuals should be granted visas and residency permits. On Thursday the White House said in a statement that it was "very disappointed" that Ramzy was forced to leave. White House press secretary Jay Carney said that the actions of Chinese authorities "are not consistent with freedom of the press -- and stand in stark contrast with U.S. treatment of Chinese and other foreign journalists." Ramzy, for his part, wrote on Twitter that he was "sad to be leaving Beijing. Hope I can return soon." 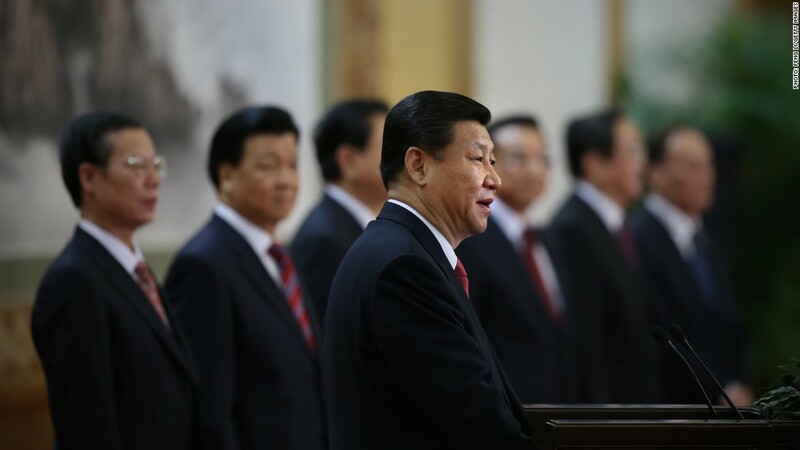 For foreign media outlets hoping to grow their business in China, the staffing challenges underscore the risks associated with aggressive reporting on Chinese government officials. "Doing any kind of business in China as a foreign company is hard," said David Schlesinger, former editor-in-chief of Reuters News who also served as the chairman of Thomson Reuters China until August 2012. "And if all businesses are difficult, the media business is doubly so." Schlesinger is now the founder of Tripod Advisers, a media consulting firm specializing in emerging markets like China. Despite the risks for foreign companies, analysts think China's media sector is poised for explosive growth. Western media, including the Times, The Wall Street Journal and Reuters, have invested heavily into developing Chinese language news websites. Yet these ventures -- and their English language sister publications -- have at various points run up against Chinese censorship. Bloomberg's website was blocked by authorities in China following the publication of a story that detailed the massive wealth accumulated by the family of Xi Jinping, the incoming party chief. The Times' website was similarly blocked after the paper published an expose on the $2.7 billion fortune amassed by the family of former Premier Wen Jiabao. "The leadership is still nervous about stories like this and maintaining social order," said Bruce Dover, a media consultant who was in charge of News Corp's business development in China from 1992 to 1998. "They are still very twitchy about stories that are negative about China, and particularly the Communist Party." Bloomberg has another business interest in China, selling its financial-information terminals. Sales in China make up a small portion of Bloomberg's overall revenue, according to founder Michael Bloomberg, who recently estimated that his company probably has about 3,000 terminals there, out of some 315,000 overall. The New York Times reported in November that Bloomberg editors in New York had killed a story that exposed the financial dealings of a Chinese tycoon with close ties to the Communist Party, leading critics to accuse the company of self-censorship. Bloomberg executives and editors have disputed that version of events and said the story was not ready for publication. A Bloomberg spokesman declined to comment for this story. Michael Bloomberg, in an interview with Capital New York, said terminal sales in China had been minimal because the country "doesn't have a big developed banking system." Nodding to the country's potential as a growth market, he added, "Some day it will." Said Schlesinger: "Any media company that wants to do both journalism and business in China will face a very difficult set of choices."